The Billion Dollar Brows collection includes tools for shaping and cosmetics for defining the eyebrows. The collection also contains formulas to help promote eyebrow growth if you've been overzealous with the tweezers and the wax in the past. If unruly eyebrows are your biggest concern, you'll find products designed to help you finally tame them in the range. There are also cosmetics to accent the brows and draw attention to your eyes. Shop the Billion Dollar Brows collection today to get everything you need to finally have the shapely, perfectly defined brows of your dreams. While you may not think much about a beautiful brow, you certainly notice an unsightly one. Brows that are not properly shaped, overgrown, over-plucked, wispy and thin or out of control can all severely detract from a person's appearance. Problem brows are incredibly common, most likely because properly caring for the eyebrows can be challenging if you lack the right tools and products. Billion Dollar Brows is dedicated to giving men and women the right equipment and formulas to have brows that always look flawless. Entrust your eyebrows to the specialists. Billion Dollar Brows has one focus: ensuring that it delivers the right tools and cosmetics to help everyone tend their eyebrows. Shape your brows with confidence and add just the right hint of color with these high quality eyebrow products. From humble beginnings in a Los Angeles apartment, Billion Dollar Brows has become a global success. 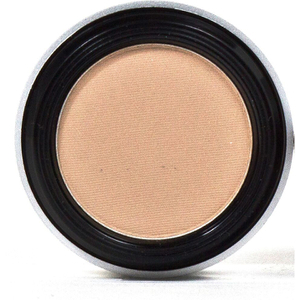 Its products can be found conditioning and shaping eyebrows across the world. Founders Natalie and Bob Plain are passionate about spreading their message that everyone can have well-shaped, beautiful brows. Whether nature has not blessed you with full brows or you have over-tweezed, your eyebrows may appear thinner than you would like them to. As you grow older, you may find that the hairs above your eyes grow back a little sparser. Billion Dollar Brows offers conditioning products that can encourage fuller, more luxurious regrowth. On the other hand, if you find that your eyebrows are much bushier than you would like them to be, Billion Dollar Brows offers a range of taming products that will help you shape an elegant arch above each eye. 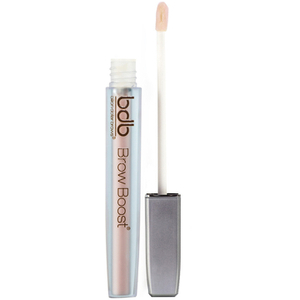 Precision tweezers and nourishing gels help to bring your brows under control. If you are uncertain about the ideal shape for your brows, turn to the Brow Buddy, which can help you achieve symmetrical brows that flatter your face. Billion Dollar Brows are committed to producing high quality products within their area of expertise. They use only the finest ingredients to ensure that each tool or cosmetic delivers the best results time and time again. Don't underestimate the power of perfectly-shaped, symmetrical brows. The right arch, color, fullness, and length all work together to draw attention to your eyes, frame your face beautifully, give your countenance an instant lift, and make you appear more polished and youthful. Are your eyebrows over-plucked or overgrown? Don't despair! It's possible to achieve flawless brows at home - with Billion Dollar Brows Products. The Billion Dollar Brows Products include gels, pencils, powders, and tools to effortlessly create eyebrows that define and complement your facial features. It started off as a one-product company operating from a Los Angeles apartment. Today, Billion Dollar Brows has a full line of eyebrow enhancers that are celebrated by the beauty industry and customers the world over. Yet founders Natalie and Bob Plain's mission remains the same: help women and men realize their best brows. The brand only uses exceptional ingredients and materials. A conditioning treatment to promote healthier brows. A patented tool to determine your ideal brow shape. 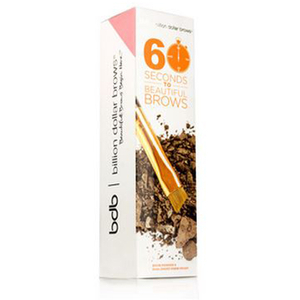 And more products to improve and control even the naughtiest brows. But even better, the Billion Dollar Brows Products give you professional results without spending salon prices. No matter what your concern - bushy brows, thinning hair, a color that's too light or graying, or an uneven appearance - the Billion Dollar Brows Products enable you to style your eyebrows like a pro. Their signature product, the Billion Dollar Brows Brow Boost is a natural formula that deeply nourishes your sparse brows with proteins and vitamins. Apply nightly, making sure to cover the entire brow line. Within 30 days, you will notice fuller and thicker brows. The treatment is recommended for all skin types. Give your growing brows a boost with the Billion Dollar Brows Universal Brow Pencil. The pencil works on all skin tones and hair colors. Simply apply until your desired shade is achieved and then use the brush to blend in the color for a more natural finish. And the formula is water resistant so you can enjoy gorgeous brows well past your bedtime. Want brows that complement your facial shape? The Billion Dollar Brows The Brow Buddy Kit helps you determine the beginning point, arch location, and ending point so you can start shaping your ideal brows. And not only is this patented tool easy to use, in three quick steps you get symmetrical brows, too. 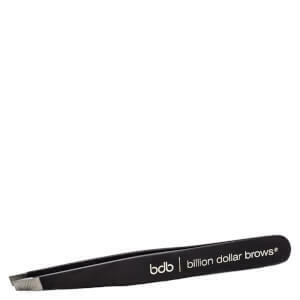 To insure your brows stay put, try the Billion Dollar Brows Brow Gel. The gel helps cover your bare patches and control your unruly hairs with a polished finish. The high quality, clear formula will never crust or flake.